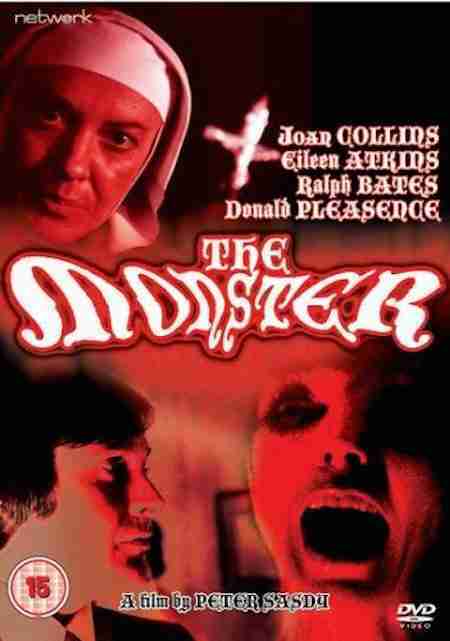 This bizarre 1975 British B-movie horror film stars Joan Collins and Donald Pleasance. Obviously made to cash in on the success of The Omen, The Exorcist and Rosemary’s Baby, the film tells the tale of a retired stripper who after marrying a rich Italian has a child who has been possessed by the devil (maybe). Oh, I forgot to mention the bit about the spurned demented devilish dwarf who cursed Collins’ character and who possibly is responsible for the events that unfold. The Monster takes place in London, we know that it’s London because every three minutes we see a red double-decker bus, a red post box or a bobby on the beat. 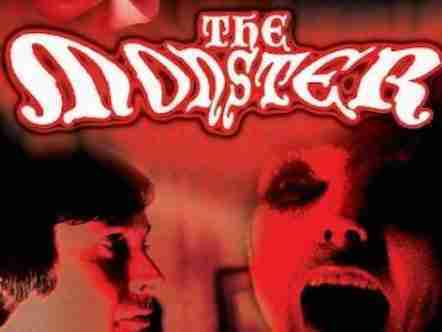 Now, in all honesty, I have to admit that I went into The Monster with very low expectations (although I was hoping that it would be fun). Joan Collins is not my idea of a great actress (is she anybodies?). In fact to tell you the truth; I can’t stand her. Don’t ask me why- maybe it’s Dynasty, maybe it’s the way that she comes across in interviews, whatever the reason I don’t like her and that’s my personal opinion. This film really doesn’t make me want to change that, she’s as bad an actress that you’ll ever find, but it’s a B-movie so I think that we can live with a bit of bad acting for 90 minutes. By any means, this film isn’t great. It’s derivative, the acting’s bad and there are no thrills or scares whatsoever. However, the more that I watched this film, the more I enjoyed it. The film is incredibly farfetched- even by horror film standards, for example; how can a newly born baby decapitate someone using a shovel? I don’t know, and I doubt the filmmakers do either, but these things happen in The Monster, or as it is called on some of the publicity material I Don’t Want to be Born. There’s just something so earnest about the performances in this film that it appears that all involved really believed that they were making a film that matched the quality of the films that they were copying. In case you’re; wondering it doesn’t! What works in the favour of the film is the great score by Ron Grainer. Although the score appears to be form a different film in terms of quality and pacing, it is first class nonetheless and adds a certain appeal to this B-movie. Grainer is responsible for some of the greatest theme tunes in the history of British television, including Doctor Who, The Prisoner and Tales of The Unexpected and I feel that this soundtrack should be getting some of that love- yes it’s that good. Donald Pleasance’s casting is also something that helps lift the film out it’s cinematic dungeon. Pleasance as always, gives a strong performance and although underused he does give a certain gravitas to the proceedings. He also appears to be preparing for the role of another doctor who would be fighting a demonic child, however that film would be released three years later and be of a much higher quality. A strange curiosity of a film that although isn’t great, is an enjoyable enough British horor romp. The acting is terrible and the film steals left, right and centre from other, better films, but it does have a certain charm. Donald Pleasance and the outstanding score add class to the film and lift the film (slightly) above its low budget status. It’s mainly for fans of 1970’s British horror films, and those with the strange desire to see a scantily clad Joan Collins.